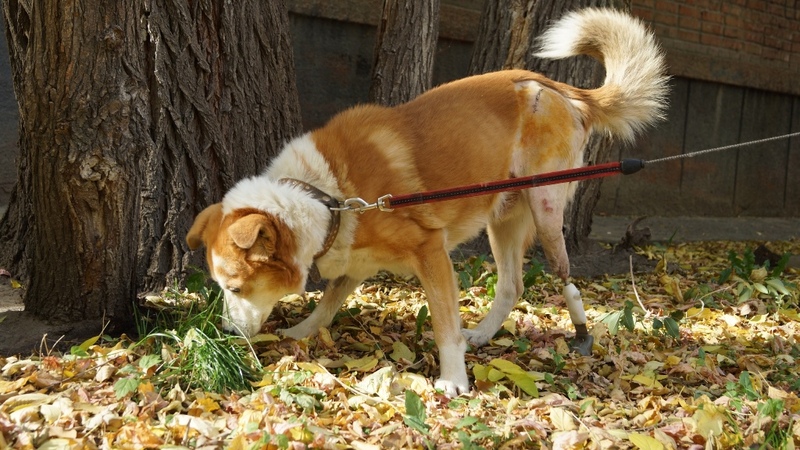 Veterinarians from Novosibirsk have conducted Russia’s first osseointegrable prosthetics of the hind leg in a dog. Shans the dog lost his leg due to an accident. Especially for him, doctors made an individual prosthesis with a biocoating so it would take root better. Currently, the biocoating developed by Tomsk Polytechnic University scientists is under patent pending. ‘An implant was tailor-made for the dog based on a patented prosthetic technology (SerGoFIX by S. Gorshkov, BEST clinic, Novosibirsk, Russia). Initially, veterinarians conducted a computed tomography scan of the patient’s hind legs. Then they made a 3D model of the prosthesis and after adjusting and testing all parameters it was 3D printed using selective laser sintering. 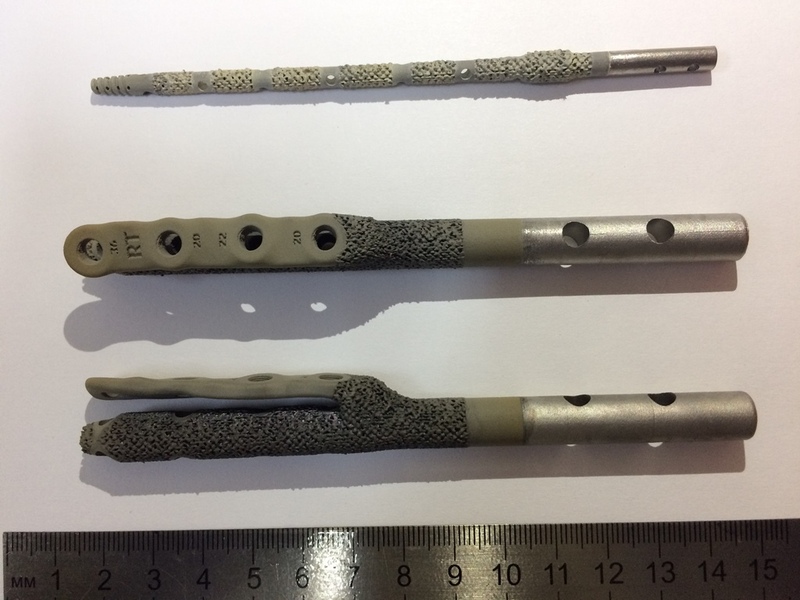 The main part of the prosthesis is made out of a titanium-nickel-vanadium alloy and, for example, guide systems for resection (removal – ed.) – out of a biocompatible photopolymer. Photo: Shans the dog after the surgery / vk.com/varezhka_b. ‘When we received the implant, our task was to apply a calcium phosphate coating on it. This is necessary to ensure the integration of the implant with the bone since this material seems to be deceiving the body and making it to perceive as its own. Due to this, the pet has complete freedom of motion after the surgery. We had developed with our partners an advanced microarc oxidation facility to apply such coatings. Photo: Samples of implants with calcium phosphate coatings, modified for the BEST pet clinics. After the implantation, the veterinarians fixed the prosthesis with an external exoprosthesis made out of polycaprolactone. 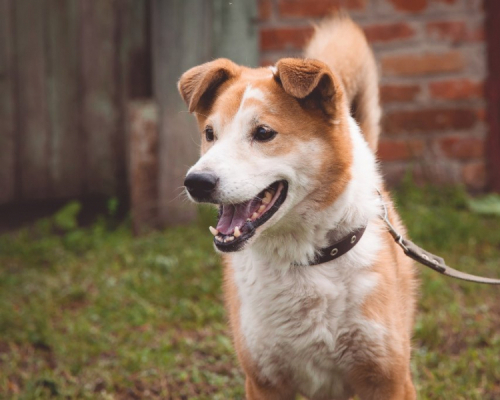 As Novosibirsk veterinarians point out, Shans the dog feels well and uses the prosthesis ‘100% of the time with full support’. 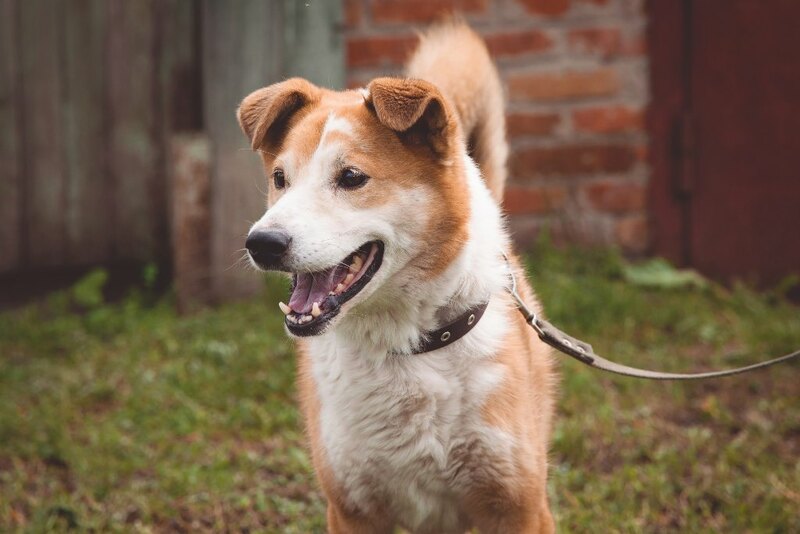 Now it is under the patronage of the Varezhka charity fund and he waits for a new owner.